Published: Nov. 12, 2012 at 01:01 p.m. Updated: Nov. 12, 2012 at 10:02 p.m.
We raised the question earlier Monday: Did the Chicago Bears fail Jay Cutler by leaving him in Sunday night's game against the Houston Texans for seven plays after he suffered a concussion? The NFL has quickly come up with its own answer. "Our office reviewed it with the [Bears] medical staff and it was properly handled," said NFL spokesman Greg Aiello via Sean Jensen of the Chicago Sun-Times. "The team followed the correct protocol." If that's the case, the protocol could use improvement. NBC broadcasters could tell from their vantage point that Cutler was foggy after his big hit. Despite a long break in play, Cutler was never seen taking extensive tests. Once he did take tests at halftime, the Bears ruled him out for the game. The fact remains that Cutler took an obvious, massive shot to the head. He stayed in the game seven more plays and took another hit on a running play. "A critical element of managing concussions is candid reporting by players of their symptoms following an injury," the league said to the Times. "Accordingly, players are to be encouraged to be candid with team medical staffs and fully disclose any signs or symptoms that may be associated with a concussion." We have made strides when it comes to concussions. In the past, Cutler may have stayed in the whole game. We should still be able to do better. 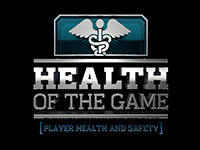 The protocol should help save players from themselves. UPDATE: Bears coach Lovie Smith said Monday in a news conference that Cutler is feeling better and although the team is hoping he will be ready to go, his is availability for next week is still unclear. Smith also addressed the teams' handling of Cutlers' injury. #Bears coach Lovie Smith: "Weâll never put a player at risk. No game is that important to us."